For all computing tasks, one major issue is to preserve software and data over long time periods. In physics, these periods can easily span several decades from the first data taking of an experiment until the final analysis of the data obtained with this experiment. 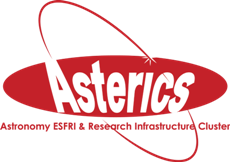 The ASTERICS consortium is developing solutions based on container images that package together a working operating system including the necessary software with the data to preserve the full information over long periods of time.